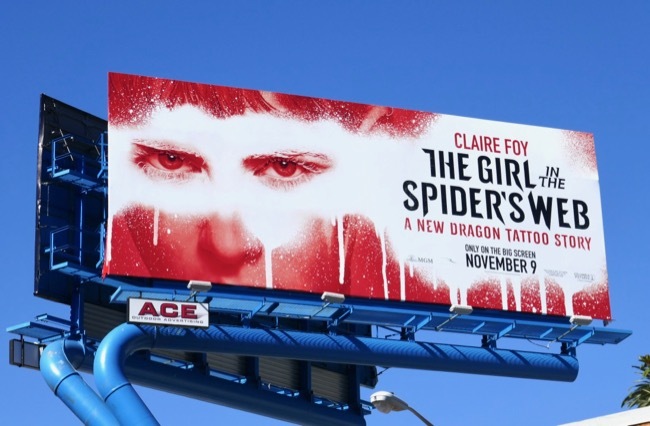 The Girl in the Spider's Web book by David Lagercrantz continues the Millennium novel series by Stieg Larsson and the adventures of young computer hacker 'Lisbeth Salander', exacting justice for battered women. 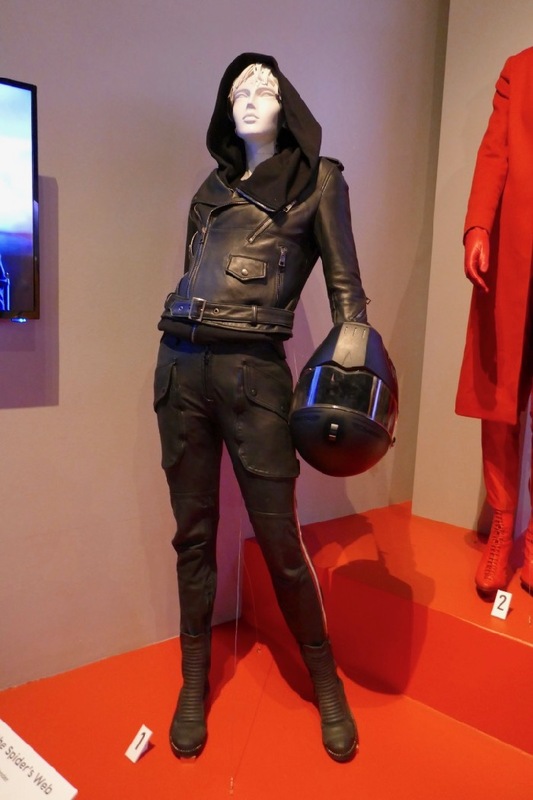 In the new Hollywood adaptation the character is brought to life on the big screen by Claire Foy, who finds herself caught in a web of spies, cybercriminals and corrupt government officials, and facing off against her estranged sister 'Camilla Salander' (played by Sylvia Hoeks), the head of a major crime syndicate, The Spiders. 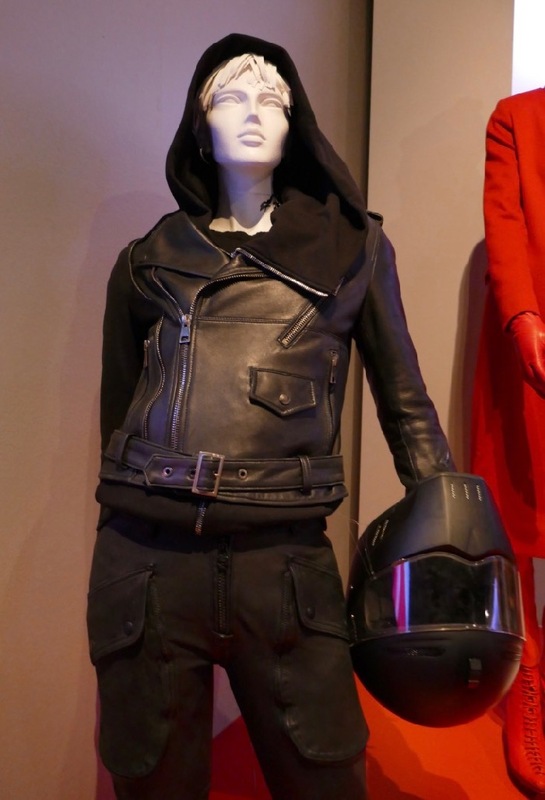 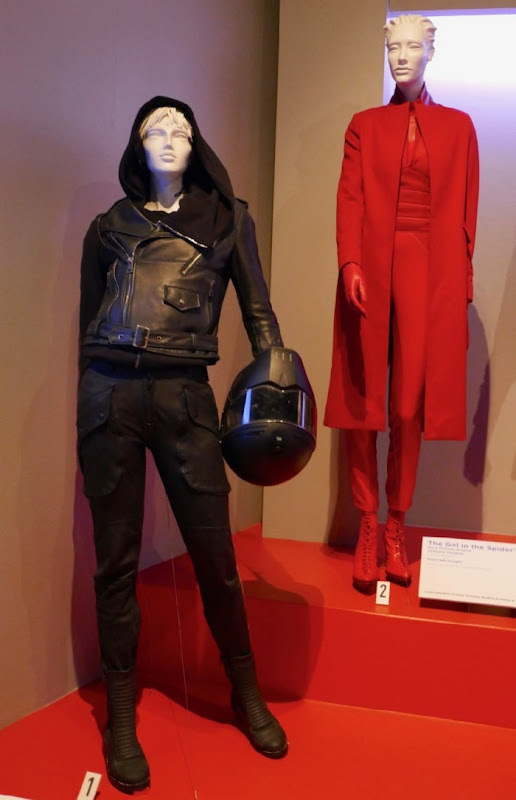 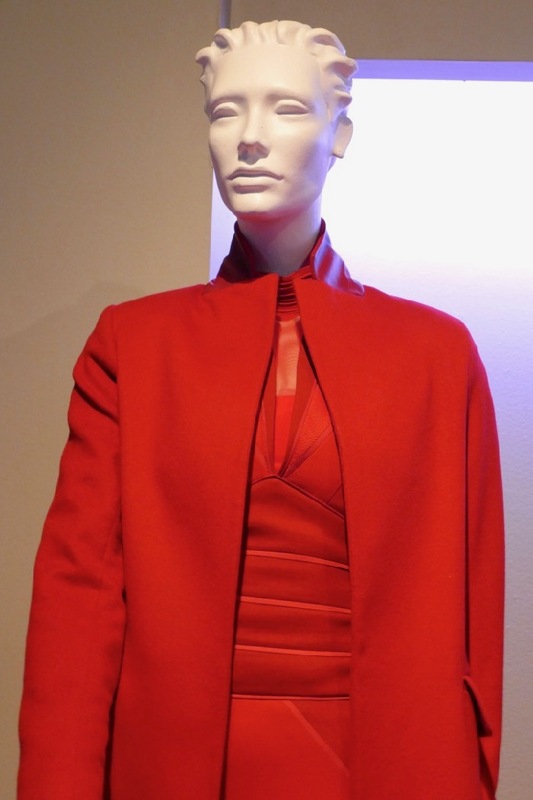 These striking garments from the 2018 spy thriller were photographed on display at Downtown L.A.'s FIDM Museum on February 5, 2019. 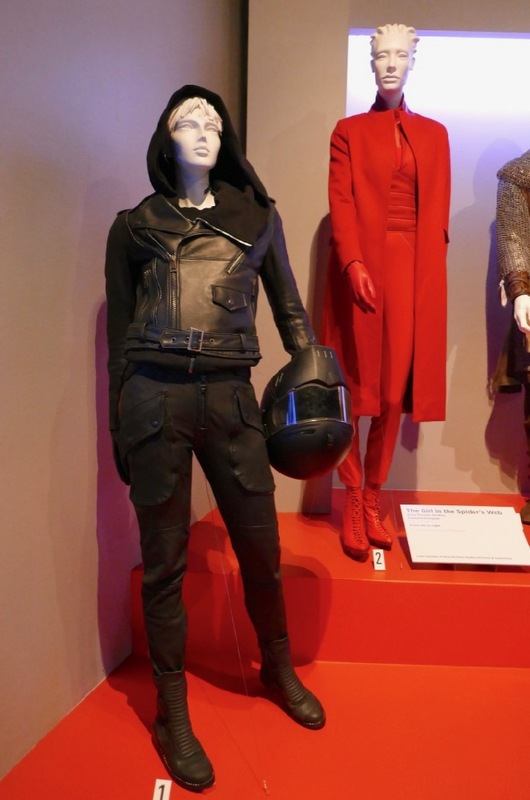 Ellen Mirojnick was the Costume Designer of Lisbeth Salander's black biker look, whilst Carlos Rosario was the Costume Designer of Camilla Salander's red outfit. 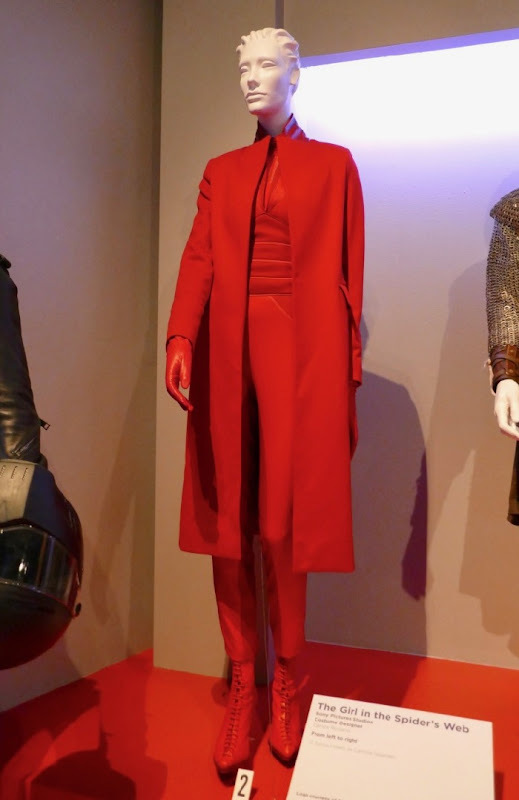 Fans of Claire Foy can also check out her Queen Elizabeth II costumes from The Crown and Sylvia Hoeks admirers can check out her Luv costume from Blade Runner 2049 on display.